Google Maps have been offering traffic reports for quite some time to help you with the morning rush hour when youre heading to work. 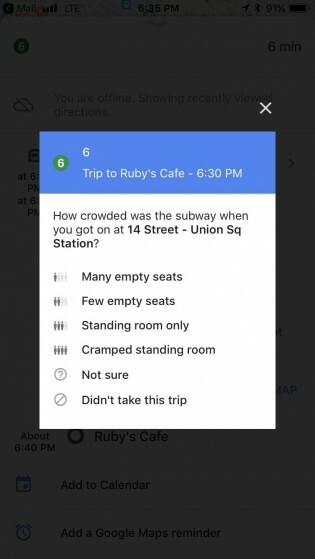 Now, according to Android Police, the app wants to get in the tube as well, and has been popping notifications, asking how crowded is your train. This is the first time it reportedly appeared on Android, while iOS users have been seeing the notification for several months. 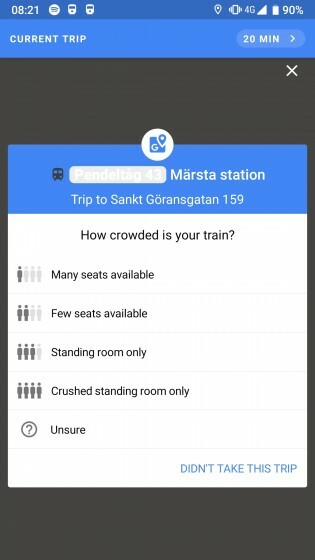 According to the source, Google wants to know if your train has many seats available, few seats available, if there is standing room only or if the train is practically a can of sardines. Reports have been coming from Sweden for Android, but iOS users from the Bay Area, New York City, Washington, Tokyo, and Paris have tweeted about the same feature.